Windows 10 S is Microsoft's answer to Chromebooks in schools, but you'll be able to buy it too. Here's everything you need to know. Microsoft’s taking aim at Chromebooks and MacBooks alike with Windows 10 S, a new version of Windows 10 designed foremost for educational use. But schools alone aren’t Microsoft’s target audience, and while the new operating system shares the same underlying bones as the standard version of Windows 10, there are some stark differences too. 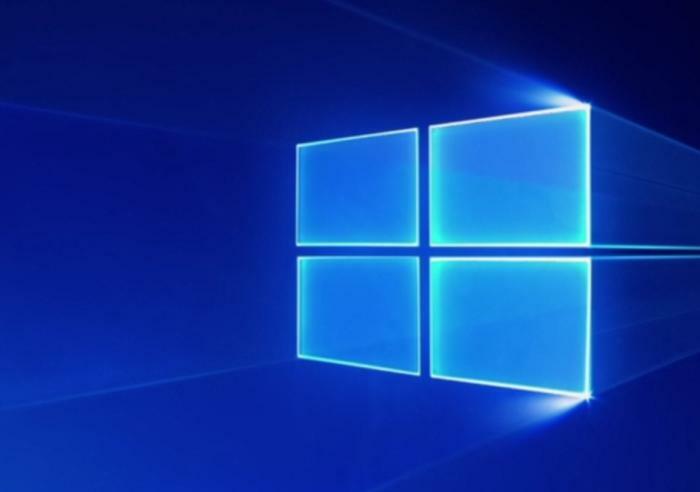 Here’s everything you need to know about Windows 10 S, mostly from a mainstream consumer perspective—and starting with the question everybody’s asking. Update 8/28/17: For a more hands-on perspective, read our full review of Windows 10 S.
Okay, so what’s the S for? Not all Windows Store apps will run on Windows 10 S however. 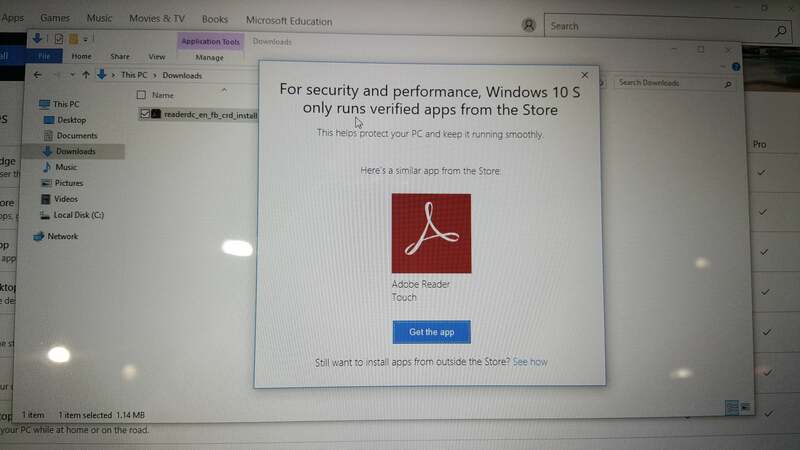 “Just because an app comes from the Windows Store does NOT automatically mean that it’s safe and suitable for running in Windows 10 S,” Microsoft’s Rich Turner wrote in a MSDN post. “There are some apps that are not allowed to run on Windows 10 S, including all command-line apps, shells and consoles.” That means Windows 10’s Linux apps won’t run on Windows 10 S.
Microsoft screens Windows Store apps, and Windows 10 protects things even more by running those apps in secure containers that can’t access other parts of the operating system. That keeps software from mucking with your registry or spawning tons of processes, which helps the system run fast and boot as quickly on day one-hundred as day one. (The banned apps reach outside their sandbox.) The startup process should take less than 15 seconds, and the login process less than five seconds. Those perks are a boon to beleaguered school admins and teachers, and Microsoft’s answer to the rapid rise of Google Chromebooks in the classroom. (We’ll get more into that later.) 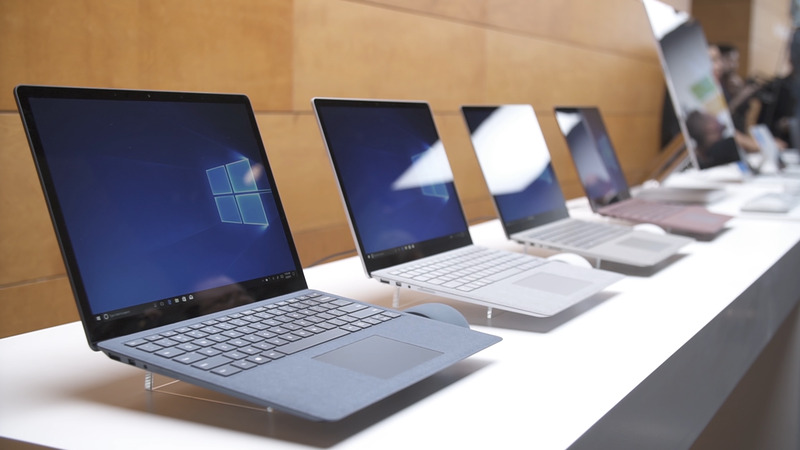 Windows 10 S laptops will also be sold to consumers, however. What if I want to run desktop software? You can’t, unless it’s been packaged as a Windows Store app. Trying to run other software will prompt a pop-up telling you it’s banned, and a suggestion for a similar app in the Windows Store. If you try to load an unapproved app on Windows 10 S, you’ll see this pop-up. If you really need to run desktop software, Microsoft makes it easy to upgrade from Windows 10 S to Windows 10 Pro. (There’s no apparent way to convert to Windows 10 Home.) A link at the bottom of the aforementioned pop-up will bring you to the Windows 10 Pro upgrade page in the Windows Store, where an administrator can start the install process. No, school kids won’t be able to do it themselves, and that’s a good thing—this is a one-way process. Once you’ve switched to Windows 10 Pro, you can’t go back to Windows 10 S.
Depending how where your Windows 10 S device came from, however, that Windows 10 Pro upgrade may or may not cost you money. Can I run Microsoft Office? Microsoft is including 1 year of Office 365 Personal on Surface Laptop running Windows 10 S that ships during the preview period. During that time, you'll be able to get "preview" versions of the following Office apps: Word, Excel, PowerPoint, OneNote for Windows 10 (not OneNote 2016), Outlook, Access, and Publisher. Unfortunately, the simplified Office Mobile apps will not be available, Microsoft says in a FAQ. After the preview period expires, the Office apps will be automatically be upgraded to the release build. How much is an upgrade to Windows 10 Pro? Like I said, it depends. Educators will be able to upgrade school systems for free. If you buy Microsoft’s swanky new Surface Laptop or another Windows 10 S laptop that costs more than $799, you can upgrade to Windows 10 Pro for free through the end of 2017, or for $49 after. If you pick up any other Windows 10 S device it’ll be $49 to upgrade to Windows 10 Pro from day one. PCWorld’s Mark Hachman digs into the details here. Trick question! 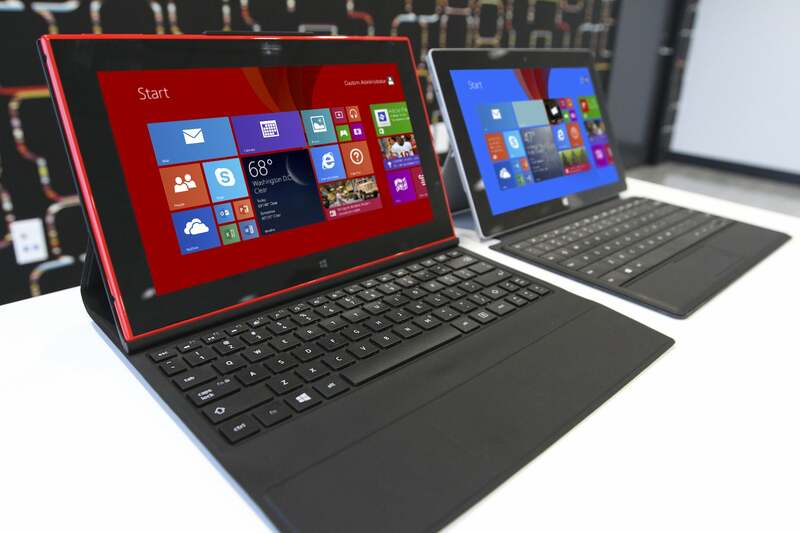 You won’t be able to buy Windows 10 S by itself, only on devices that come with it preloaded. What Windows 10 S laptops are there? Microsoft immediately muddied the messaging waters with the Window 10 S flagship device, the $1,000 and up Surface Laptop, which has much more in common with Apple’s MacBook Air than the legion of Chromebooks most Windows 10 S computers will compete with. Most Windows 10 S PCs will be much more modest. The HP ProBook x360 Education Edition and Acer TravelMate Spin B1 Convertible are two of the first, with each costing $299. We’ve also gone hands-on with Dell’s Latitude 11 EDU. Microsoft says Toshiba, Samsung, Fujitsu, and Asus will also offer Windows 10 S laptops, with prices starting at $189. Look for Windows 10 S laptops to arrive over the summer, perhaps starting with the Surface Laptop, which will hit the streets on June 15. It’s unclear if PC makers plan to sell many Windows 10 S laptops to consumers, or will instead focus on direct sales to schools. Not many—Windows 10 S is largely just Windows 10. It offers Cortana, Windows Hello biometric authentication, and all the other usual Windows perks. But there are a few things to watch out for. Most notably, Windows 10 S restricts your browser to Microsoft Edge, and your search results to Bing. You can of course navigate to, say, Google’s search page in the browser if you want, but you can’t change the default browser, and all system interactions that point to a browser will always point to Edge. The point’s a bit moot, however, as major browsers like Chrome and Firefox aren’t in the Windows Store anyway. You may also run into issues connecting hardware to your device—probably more so with older hardware. “Many hardware peripherals (such as printers) that work with Windows 10 today will work with Windows 10 S, but may have limited functionality,” Microsoft warns. What’s in it for educators? This article focuses more on Windows 10 S from a consumer standpoint, but Microsoft’s supporting the Windows 10 S push with numerous benefits for schools. 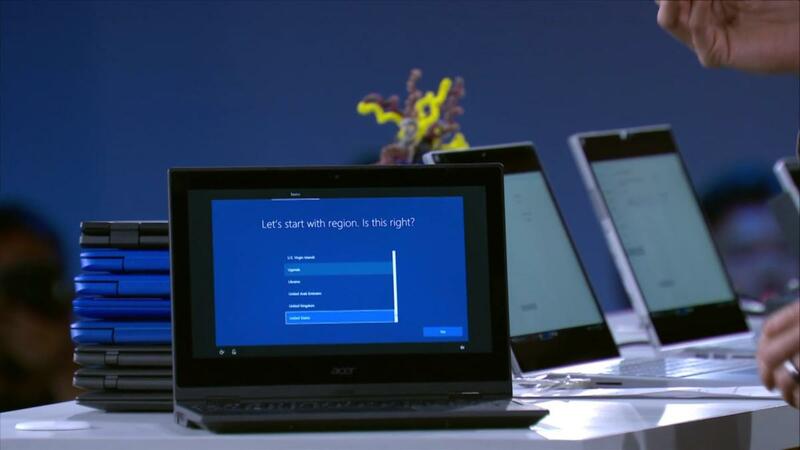 Windows 10 S lets you configure stacks of PCs in a jiffy, Microsoft says. Most notably, Windows 10 S supports a slew of advanced features found in Windows 10 Pro, but not Windows 10 Home, like mobile device management, Bitlocker encryption, Azure active directory domain join, and the crucial Windows Update for Business, which allows administrators to fine-tune exactly when they want feature updates to roll out, and defer normal updates for up to 30 days. It can all be managed through the cloud with Microsoft’s new Intune for Education, and admins can configure a system image using a wizard, then slap it on a USB key that can be used to install that customized version of Windows 10 S on any PC in under 30 seconds. There are benefits for students, too. Microsoft’s including a one-year subscription to Minecraft: Education Edition with Windows 10 S laptops and making Office 365 for Education free to schools. What’s more, these laptops are configured to save files to students’ OneDrive account by default, making it easy for them to pick up where they left off while hopping from classroom to classroom and PC to PC. So is this Windows RT reborn? That’s the million-dollar question. Windows RT launched alongside Windows 8, was also limited to Windows Store apps, and died a quick death amid consumer confusion. Windows RT tablets, finger-friendly live tiles and all. There are some key differences between Windows 10 S and Windows RT. Since these laptops are powered by normal PC processors rather than Windows RT’s mobile ARM chips, they can run traditional desktop software found in the Windows Store, as mentioned previously. That may be splitting hairs for everyday users though. Being restricted to the lackluster Windows Store is still being restricted to the lackluster Windows Store, though Microsoft now offers a bridge tool to help developers quickly port traditional desktop software over. Another key difference: Windows RT had Windows 8’s dreadful tablet-first interface. 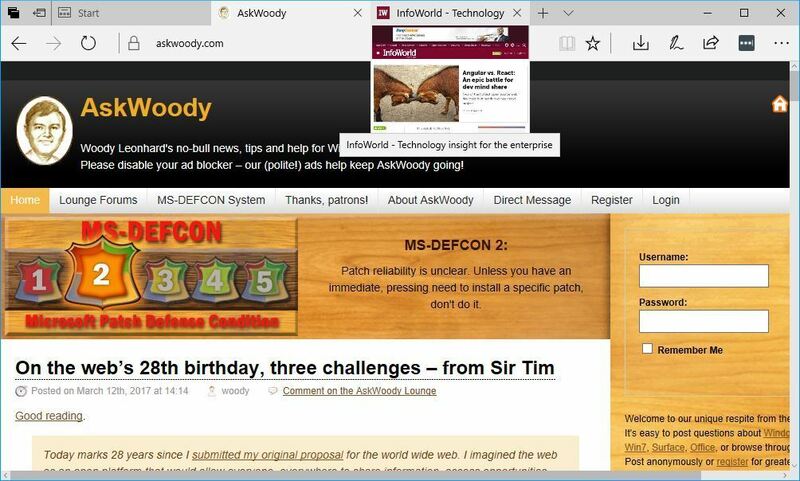 Windows 10 S is designed for PCs, though it can still switch into tablet mode if desired. 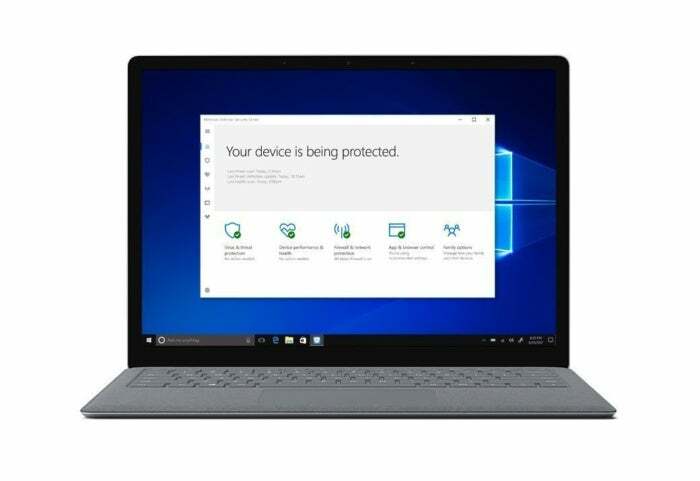 Locking these devices to the Windows Store makes sense for school solutions, and Windows 10 S could finally weaken developer resistance to the Windows Store if the push proves successful. Selling Windows 10 S devices directly to consumers feels tricky, however. If people start buying these low-cost laptops at stores and get angry at the idea of paying $49 to use “real” software like Steam and Chrome, the reputation of Windows 10 S could go downhill fast.